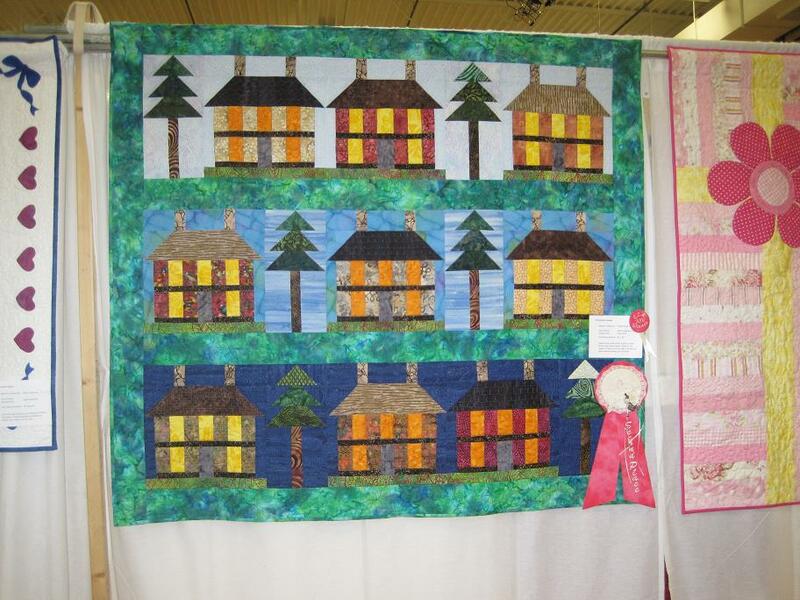 I was really nervous about entering quilts into a show. I have never done it before. I was the person that keep standing up and telling our membership we all need to enter 2 quilts, but I almost chickened out. Actually, I did have one customer quilt that I know was entered and she showed me the judges form, so that I would see what they said, but I had only been quiting for a couple of months at that point. For that one just seeing it hanging was a thrill. This time, I really wanted to see what the judges had to say because it will give me a good barometer on what I need to improve. Whirlygigs for May is the first time my sister has ever had any of her work entered in a show. OK, so she may have told me that she didn't want it entered, but she is over that now. When I called to tell her about the ribbon she actually told me that I had called the wrong person. I realized that I may have neglected to tell her I had actually entered the quilt so I had to fess up at that point. 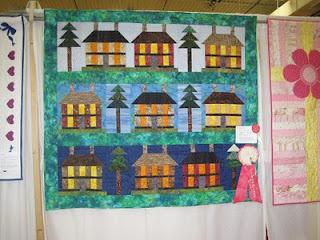 While I am thrilled with the outcome, I really did not enter the quilts thinking that they would win awards. The information that they judges gave is much more important then the ribbons. 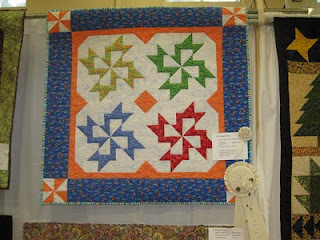 And getting over the fear of entering the quilts in the first place. The beautiful ribbons for our show were created by the talented Sandy Zucker. Luckily, she won one as well, because she was a little sad to see them go.